MENDOCINO Co., 8/7/18 — Conditions continued to improve on the River Fire and in the western portion of the Ranch Fire today, as the Mendocino Complex hit 292,692 acres. The count of residences destroyed remains at 75 with 68 other structures destroyed. Now in the 12th day of the largest wildfire in recorded California history, no one has been killed or seriously injured, an astounding feat in the face of such rapidly moving fires and destruction. Fire officials were very optimistic that the River Fire would be completely contained in the next couple days. The fire hit 48,920 acres and 78% contained, with the success of firing operations which tied in containment lines. The firing operations have been responsible for the large smoke plumes and flames visible from Ukiah for the past several days. Firefighters are now mopping up and patrolling the containment lines, and their success on the River Fire has allowed them to transfer more manpower and resources to the Ranch Fire. These success have also allowed for the lifting of evacuations across the region. Here is a map of current evacuation conditions across Mendocino County, which is updated frequently. As you can see the green areas represent places where people have been allowed to return to their houses. The Ranch Fire continues to pose major challenges, especially in the northern section which arcs across the width of the Mendocino National Forest. The fire now stands at 243,772 acres and containment has fallen to 20%. Firefighters have made good progress on the fire along the shore of Clear Lake and fire officials are hopeful that re-population may begin in the next couple days. At the southeast corner of the fire and the northeast corner, progress has also been made in building dozer lines, firing containment lines, and tying in to dozer lines from past fires. A road block remains at Mid Mountain Rd. in Potter Valley, and firefighters were preparing for significant firing operations on Mid Mountain Rd. but above Potter Valley, earlier today. But the top of the fire remains an stretch of open fire line tens of miles long, though firefighters from state, local and federal agencies are beginning to build dozers lines, and develop plans for a more extensive containment line. Still, this is extremely rugged country, with few roads, and it is possible that the fire could continue to burn in sections of the National Forest well into September. Several other things happened today, and large areas were re-populated today as well, so we're just going to list all of them here to give you the best information we know how. Other publications would often summarize this information, but we have gotten feedback that our readers enjoy seeing the evacuation and re-population orders presented directly, without ambiguity. North Coast Opportunities, Inc, (NCO) announced on Monday, July 30 th , that they’ve reopened their wildfire relief fund to support those impacted by the 2018 Lake and Mendocino County wildfires. All major credit cards are being accepted via PayPal at www.ncoinc.org, or by mail and in-person at 413 N. State Street, Ukiah CA, 95482. The Unified Commanders, CAL FIRE and U.S. Forest Service, are hosting a community meeting to discuss the current situation of the Mendocino Complex. Officials will give an operational overview, highlighting the current actions firefighters are taking on the fires. Questions will be taken via Facebook. WHEN: AUGUST 8, 2018 at 6:00 P.M.
NOTES: The meeting will start promptly at 6 p.m. 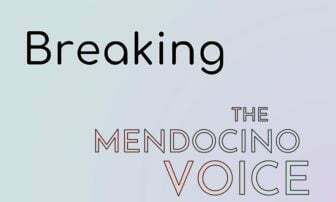 If you have questions about the meeting, please call the Mendocino Complex Fire Information Line (707) 574- 8261. 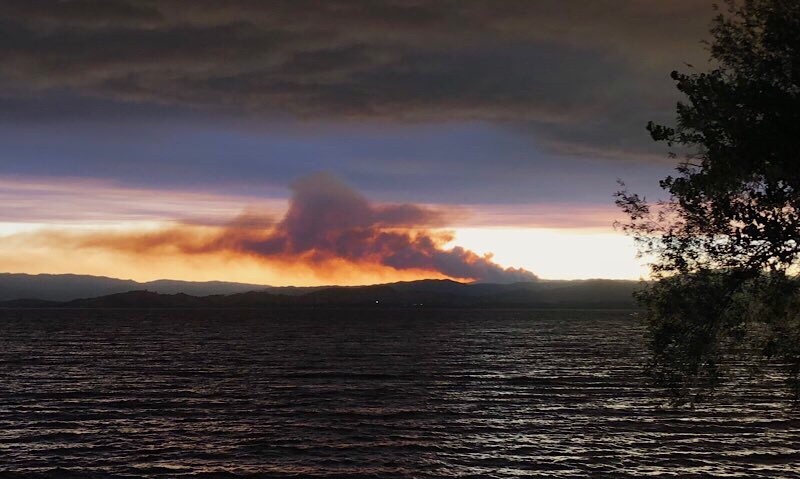 The evacuation advisory has been lifted for the North Lakeport, Scotts Valley, Blue Lakes, Witter Springs, Saratoga Springs, and Bachelor Valley areas. This includes residences West of Highway 29, south of Highway 20, north of Highway 175, and east of the Lake/Mendocino County Line . Here is the re-population order for Mendocino County, all areas of the county affected by evacuations had their evacuations lifted, with the exception of an area in the northeast corner of the Potter Valley area. 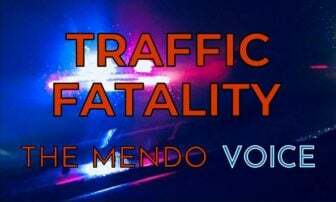 WHEN: AUGUST 7, 2018 at 2:00 P.M.
South of Pine Avenue in Potter Valley, west of the Mendocino/Lake County Line. 1. Mendocino County north of Pine Road, south of the Eel River, West of the Mendocino/Lake County Line and east of 10500 block of Mid Mountain Road remains under a Mandatory Evacuation Order. 2. Mendocino County north of Mid Mountain Road, south of the Eel River, west of the 10500 Block of Mid Mountain Road, and east of East Potters Valley/Eel River Roads remains in a Evacuation Warning. 3. The Bureau of Land Management closure of the Cow Mountain Recreation Area remains in effect. NOTES: SAFETY MESSAGE – The public is reminded to stay vigilant on current fire conditions. Please continue to adhere to road closures. If you see electrical wires on the ground, stay clear and contact PG&E immediately. Trees and poles with deep charring, particularly if still smoking, should be considered hazardous. Please drive slowly and yield to emergency personnel in the area. As you re-enter your property and evaluate damage, be aware that hazardous conditions may exist, particularly if a residence or out-building has burned. Hazards may include asbestos, heavy metals, by-products of plastic combustion and various other chemicals. Proper protective equipment, including, masks, gloves and eye protection should be worn when encountering these hazards. Residents may experience very smokey conditions as the firefight continues. Smokey conditions can be unhealthful to many people especially children, the elderly, and anyone with respiratory problems. We have established an Information Center at the Lake County Fairgrounds in Lakeport. If you have any questions or need information please come to our information center or call the number above. Lake County & Clearlake Waste Solutions customers will be serviced as normal this week in area’s NOT effected by the evacuation order. Perishable items can be placed in your normal garbage cart. -Intersection of HWY 20 and Scotts Valley Rd. Containers will be in place as long as the emergency operations center determines that they are necessary for the repopulation efforts. 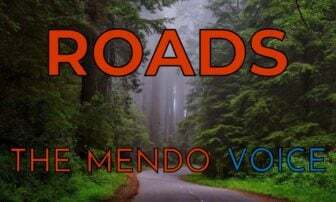 All you need to know about the 2018 General Election in Mendocino.